Former investigator turned cozy mystery writer. Who doesn't love a Cozy Mystery? My new book A Bird In the Hand is now live on Amazon. 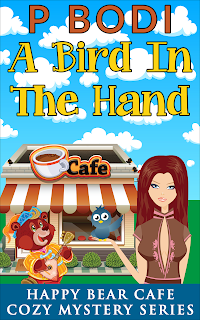 This is Book Six in my Happy Bear Cafe Cozy Mystery Series.